Here are some of Jess' guidelines, but if you have a question, please leave her a comment and she'll get back to you. 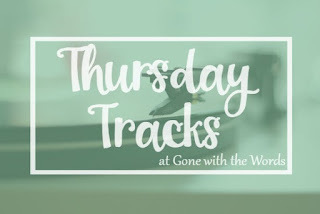 You can create your own Thursday Tracks image or use mine. If you are using mine though, please DOWNLOAD it and SAVE it to your own site. 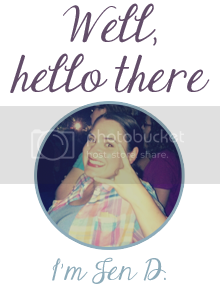 Please don’t just paste my image link into your posts since that eats up my paid-for bandwidth. DOWNLOAD HERE. Link back your posts to mine and enter your post link in the linky. Jess will try and do occasional giveaways! A monthly feature where I'll post my favorite movie quotes, upcoming movie trailers I'm excited about, the occasional movie review or where I'll subject you to my fangirling over some of my most treasured movies in the hopes that it'll get you guys to watch them. Ah, yes. The good ol' question of the day. Gotta say this is one my favorite features. It's a weekly post that gives me a chance to get to know you guys better and vice versa Sometimes the questions will deal with books or reading but, most of the time they won't. Because, let's face it, there's more to us that what we read. Hosted by: Not Now...I'm Reading! I'll select three (3) options from my TBR jar. I'm going with three because if I limit myself to one or even two and end up with a genre that I'm not in the mood for I will all but set myself up for failure. And failure, my dear friends, is not an option. If I end up choosing a book in a series that I'm not up to date with then I'll choose the book within that series (be it the 1st or 4th or 11th) that I'm suppose to be reading. 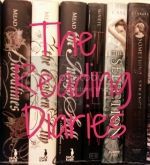 I'm an indecisive creature so I may frequently ask you guys to help me pick my next read. I'll throw up a poll at the beginning of the month and leave my book pick in your hands.